If you remotely follow this series, our previous coverage of Starward, its excellent outlet and its liquid emissions would and should have left more than a mere blip on your whiskey radar. 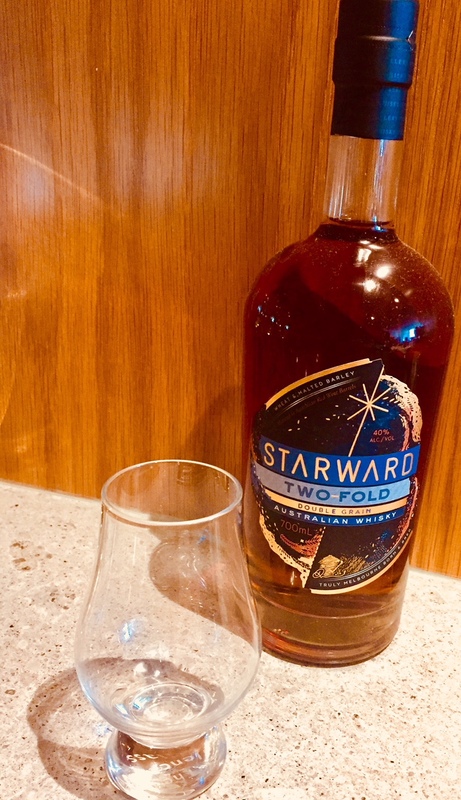 Now, never a distillery to rest on their laurels, Starward Distillery have very recently taken a bold step forward with the ambitious Two-Fold release. A symphony that is bathed in double grain whisky, i.e. a melange of Wheat and Malted Barley, that is entirely matured in their signature Australian red wine barrels. The result is a drop whose complexity encompasses the richness that only the marriage of two grain world could culminate in. Now, the X-factor is Melbourne’s overly reactive, “seasons in the size of days”-climate that is never not a contributing factor when it comes to expressions out of Victoria. Taste-wise and from the feel I got from the first sip I taste, Two-Fold makes what is commonly referred to as an excellent breakfast whiskey – a foundation of vanilla extends to tropical fruits, apples and culminates in an oaky finished. The range of flavours of the accessible Two-Fold unfolds makes it a remarkably versatile drop, no matter if it is the basis of a cocktail or taken neat and the fact that it was sold out within days is testament that it is one that should be popular with both connoisseurs as well as the occasional whiskey drinker. Not unlike all other expressions from Starward Distillery, exclusive use was made of Australian Apera wine barrels for maturation and emphasis was put on the whiskey’s interaction with the wood, which resonates through Two-Fold’s lighter character and its wheaty DNA. An affordable alternative that would find its place easily amongst the likes of classics like Glenmorangie and Glenfiddich. Given that there are plans for Starward Distillery to expand across the pond and excite the imagination of North American whiskey aficionados, not unlike the savoury complexity of the smooth Two-Fold is something to keep your eyes peeled for.